Aaron English is a pianist and singer/songwriter from Seattle which is apparently the rainiest town in the United States. 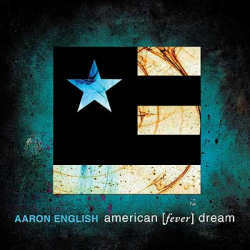 Therefore one shouldn’t be surprised that this lack of sunshine makes for gloomy moods, so don’t expect cheerfulness on American (Fever) Dream, the third record by Aaron English. Despite the name, this is not a solo project but a band consisting of seven musicians, although Aaron English is the undisputed band leader. The album has been recorded in a 150 year old warehouse and sounds accordingly unmodern. The mostly quiet music is anything but trendy and is probably aimed at a more mature audience. Aaron English has a pleasant voice that reminds a little of Peter Gabriel, and his piano skills are beyond reproach too. Alas I have more problems with the songwriting which all too often feels too unspectacular. Nothing seems to let Mr English lose his temper, so that after some time one starts missing the excitement. Bruce Hornsby was a similar piano virtuoso, but his music had considerably more punch. One track that manages to stand out is Sleight Of Heart where the band is flirting with trip hop elements, emphasised its sterile atmosphere with cold female vocals. Less great is the cheesy Peace that sounds like a typically bad Christmas song. Aaron English’s songs deal mostly with peace and attack church and politics for not supporting it enough. There is no room for humour neither in his music nor in his lyrics. The overall mood is sometimes a little too earnest for my taste, but that is certainly no reason not to take Aaron English seriously.